In late May we took a “last minute” trip to Paris because United Airlines had a fare sale to certain cities to Europe, including Paris. This was the cheapest fare to Paris that I’ve ever seen. We figured…why not? So we bought our tickets, found a hotel, and packed for Paris in a matter of a few short weeks. This was my fifth trip to Paris, Charlie’s third trip, and Luke’s first trip. For awhile, I’ve been having this urge to take Luke to Paris at this young of age. I don’t know why, maybe I had this picture of him running around in front of the Eiffel Tower or wanted to share my love of the city with him. So the fare sale couldn’t happen at a better time! We wanted to make sure this trip was enjoyable for Luke as it was for us. So on our second day in Paris, we took a day trip to Disneyland Paris. I really think Charlie and I were more excited about taking Luke to the theme park than Luke was being there. (What can I say? This kid has refined taste.) Before we went though, people were telling us that the park is a lot smaller than what we’re used to in the U.S. So to not expect much. But as it turned out, we had a great time and it was more than we expected. The size of the park was perfect for a one day excursion. We got there at noon and it seemed like the place was all ours. The wait times were not that long. Most of the rides were about a five minute wait. We literally walked right up the the “It’s A Small World” ride. Towards the end of the day though, the wait times were about 30 minutes, especially at Tomorrowlamd. I think we were so spoiled with the short wait times earlier in the day that we frowned at 30 minutes of waiting. The layout of the park is very similar to the ones in the US with a walk down Main Street and the view of the castle. We pretty much knew our way around…but also managed to get lost a few times. As “small” as the park is, there was lots of walking and figuring out what to do. We never really have a real plan but often times at the end of a trip, we always reflect on what worked and what could’ve worked better. 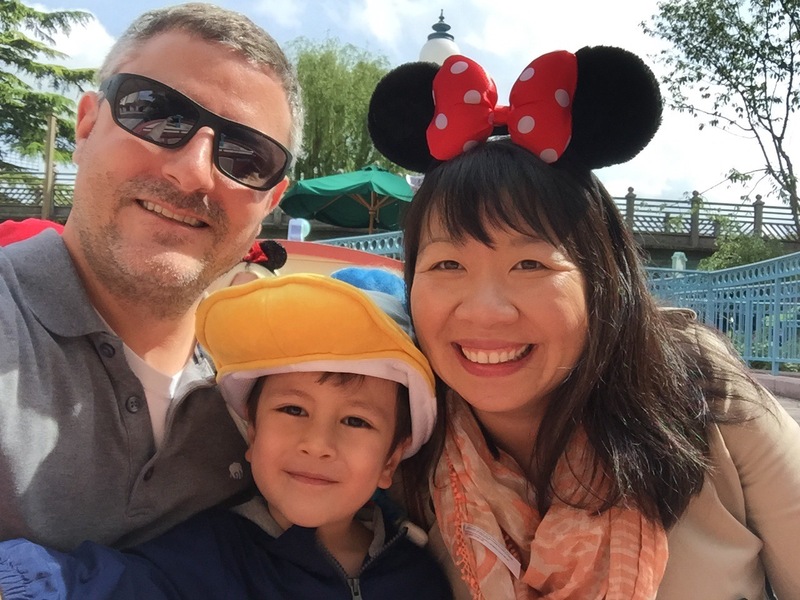 So here are a few things to consider if you decide to take a day trip to Disneyland Paris with your kids. Disneyland Paris is not in the heart of Paris. It is in the suburbs west of Paris. The cheapest way to get to there is the RER (which is the commuter train line) in Paris. Make sure you take the RER train to the Marne-la-Vallée/ Chessy Station, which is the stop for Disneyland Paris. The train takes about 45 minutes and is quite comfortable. You can buy your train fare at the station. Be sure to see if you can buy roundtrip tickets to avoid the lines on the way back. The train stop is literally right in front of the park, which was very convenient. 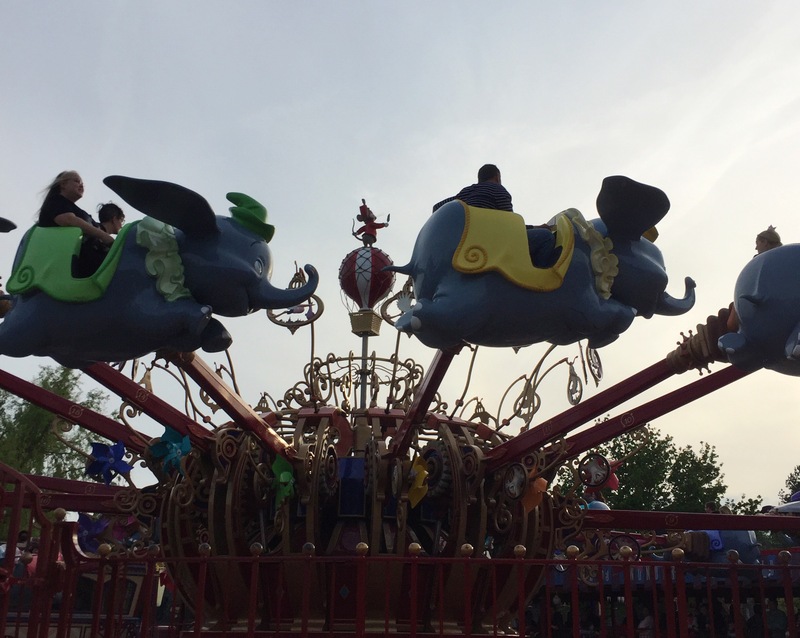 When I was researching to buy tickets for Disneyland Paris, I came across a handful of sites and blogs that mentioned buying your tickets online and in advance since tickets at the door can be quite expensive. When purchasing tickets online, you have the choice of purchasing the MINI, MAGIC, and SUPER tickets. Depending on when you want to go, purchase the ticket level accordingly. The MINI tickets are normally for weekday visits during the low season, so they are the cheapest. Whereas the MAGIC is for weekends and certain days during high season and the SUPER tickets are during high season, so the prices for these tickets are higher. We purchased our tickets in advance for $53.00. The tickets at the door were 81 Euros/person! Not only buying tickets in advance saved us money, it also saved us from standing in the ticket line. Disneyland Paris has two theme parks, Disneyland Park and Walt Disney Studios Park. Disneyland Park seemed more age appropriate for Luke so that’s the one we picked for our excursion. I really thought we could get to both parks in one day, but we were pretty tired with just one park. We made the mistake of running right to the park when we got off the train and realized that Luke needed to eat. There are not a lot of good dining options at the park, so we tried the pizza place. When we left, we saw all these restaurants outside the park, next to the train station. The food was probably better and more reasonable. I’m not sure if people knew this but after you walk down Main Street towards the castle, there is a spot to take a picture of the castle with you in it, without the crowds. Instead of walking right under the castle, make a right before you get there. There’s an area where you walk up a few steps that offers a great vantage point to snap some photos of your family. We discovered this after I tried taking a hundred pictures of us with just tons of random people. Knowing this could have saved my memory card a few megabytes. I want Disneyland Paris to be D’s first Disney experience. Great tips (esp with food outside park and unobstructed view of castle!). Also: The Minnie ears look FANTASTIC on you! So cute! I think you should take D there…and I would love see your pics from there! WOW I love your photos! 😮 :))cWhat did you like most about the Disneyland Paris?